You’ve been working toward this day for a long time. The past few months have been a whirlwind of planning and visualizing, touring and phone calls from your real estate agent. Now you finally have the deal you were looking for and it’s all about packing, deadlines, agreements, conditions and waivers. 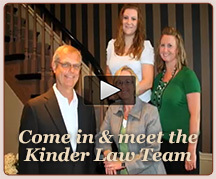 With Kinder Law Office working on your behalf, you can relax. Our 30 years experience has provided us the knowledge and expertise to anticipate and avoid problems, ensuring that your closing will be completed efficiently and on time. 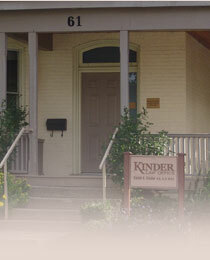 Contact Kinder Law Office for your real estate and mortgage needs. NOTE: This website provides general information only and is not intended to be interpreted as a legal opinion. Visitors are cautioned not to rely on this information without obtaining specific legal advice regarding their own circumstances.